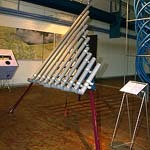 an exhibit of musical instruments made from plastic pipe. 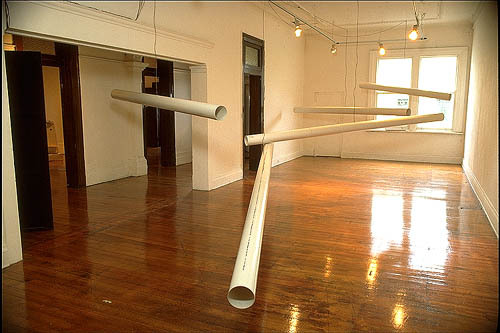 Plastic Sound is an international network of people interested in musical instruments made from plastic pipe. 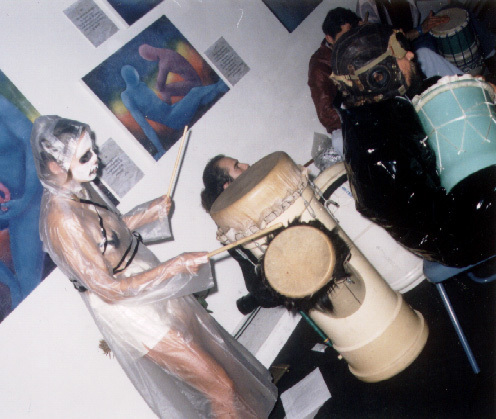 It includes an ongoing exhibit of musical instruments, concerts, and workshops. 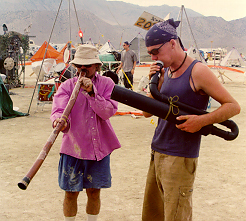 The on-line exhibit includes both traditional instrument designs from around the world, as well as modern designs which use the medium of plastic pipe to create new sounds. 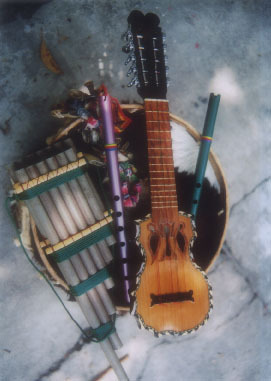 Many instruments are made from recycled materials. What was designed to carry water, sewage, or wire, now carries sound waves. Some artists disguise the fact that they rely on plastic; some flaunt it. Some recognize that the use of plastic pipe releases large quantities of toxic chemicals into the environment; some heat and bend the pipe while recklessly inhaling known carcinogens. Using the resources available to them in a primarily urban environment, the artists achieve amazing results in terms of economy and durability. They bring a new sound and look to handmade instruments, and they expand the boundaries of traditional folk music. Your participation is welcome. Hopefully, this website will inspire you to create your own musical instruments made of plastic pipe. Experiment! Then contact us, and let us know as much about the instrument as you can. If you can send a photo (or links, photos, drawings, schematics, descriptions, recordings, video clips, articles, interviews, etc.) we will include it here.